Anti-fatigue mats can help ease standing. There have been lots of studies covering the benefits of standing at work as opposed to sitting. Because being on your feet helps increase blood flow, and has been linked to fewer health risks, more managers have been trying to encourage standing while on the job. Anti-fatigue mats can help, because they offer a lot of padding that gives ease to joints that could otherwise be bothered by constant standing. However, in addition to the health benefits that come with standing, you may find yourself smiling a lot more. According to Treehugger, working at a standing desk could make you happier throughout the day. Additionally, the participants reported they were 65 percent more productive while on the job and standing. That doesn’t mean that just because you have a standing desk doesn’t mean that you need to be on your feet all day long. It’s all about having a balance. According to Popular Science, try your hand at sitting and taking standing breaks. Make it a prolonged break if you want to try and be more productive. With anything, it’s never good to do too much of one position, so trying to take breaks in between throughout the day will keep you the healthiest and happiest. Could standing at work actually make you smarter? 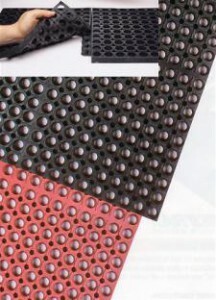 Anti-fatigue mats keep you comfortable when standing on the job. Have you ever felt your brain working at lightning speed when you’re on your feet? There are multiple benefits to standing at work, with researchers suggesting it can help you be more productive and also keep blood pressure down. More people are using anti-fatigue mats to help reduce the pressure to the joints and make it more comfortable to stand. The New York Times reports that a new study suggests found that frequently sitting reduced the thickness of the medial temporal lobe, which is critical to the brain’s ability to learn and memorize things. In an effort to keep the brain in good condition, consider taking standing breaks at work throughout the day in an effort to keep the lobe thick. The research studied a group of 35 people and found that those who sat longer throughout the day had the thinnest lobes, despite everyone in the group being in good health. The initiative to increase standing at work is not new, as the National Institutes of Health refers to the initiative as “Stand More AT Work (SMArT).” The research suggests early intervention into sedentary behavior can help people realize the importance of taking standing breaks at work. With more research coming out showing the damage prolonged sitting does, more people are taking time to stretch their legs. Anti-fatigue mats can ease the burden of standing. Being on the job all day is always draining to the body. It’s easy for aches and pains to creep up, and workers will try and reduce the strain to joints and muscles anyway they can. 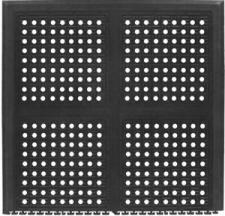 One way to do so is with anti-fatigue mats, which help reduce the pressure on the joints. This can help encourage employees to stand while on the job for longer, which may also offer benefits to the body. According to Small Business Trends, a recent study found that those who stand at work suffered from less back pain than those who spent the majority of their days sitting. Additionally, research has pointed to standing at work could contribute to greater work productivity and a lower body mass index. There are other benefits to standing at work, as long as you make sure to take some sitting breaks throughout the day. According to Healthline, standing while on the job can keep blood sugar levels down, as well as reduce one’s risk of heart disease. While it’s hard to spend an entire day standing, if it’s possible to get an adjustable desk that allows for both standing and sitting, it could help with overall health in the long run.